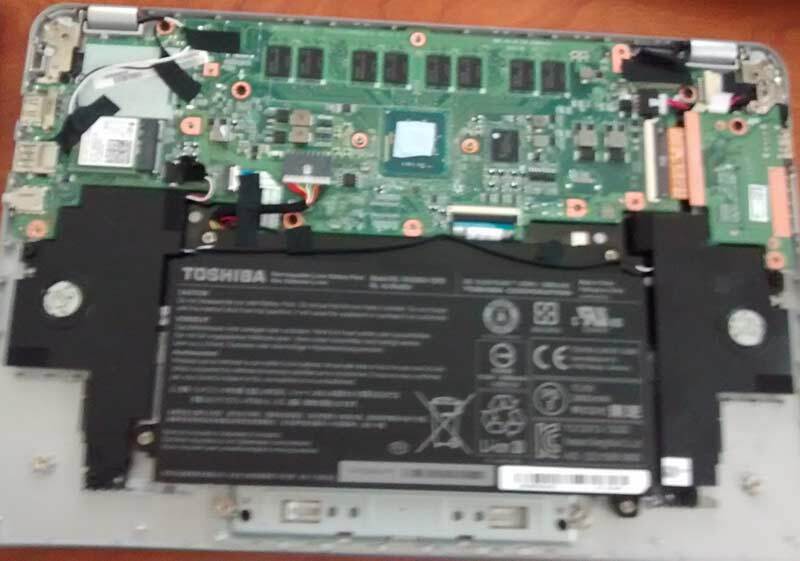 This Toshiba CB35-B3340 is an upgrade of the previous Toshiba Chromebook early 2014 model. I know some people complains about not being able to run Windows programs on this Chromebook, therefore I strongly recommend you to understand what you are going to get before even consider buying a Chromebook. If this will be the first time using a Chromebook, you can download Chrome browser on your computer, be it Windows or Mac, to see what you can do with a Chromebook – it’s like doing computing jobs with only your Chrome browser and its store. You are certainly going to need some times to get used to your first Chromebook. The difference between a Chromebook and a tablet or laptop is the storage. Tablets stores your files mostly in the device, while Chromebook can store them in the cloud. With a purchase, you will get 100 GB free for 2 years period of time, which is big enough if you want to save your files in the cloud. Also, ability to access internet is a must if you want to use Chromebooks comfortably, though working offline will still work, like working with Google’s docs, etc. Chromebooks are mostly used as a secondary portable because they are very affordable, and very light. 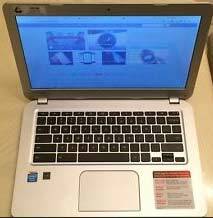 Furthermore let’s focus on this Toshiba CB35-B3340 or Toshiba Chromebook 2, found cheaper on this place. 1. I wish the SSD would be more than 16GB. This Toshiba CB35-B3340 comes only with 16GB storage, and you will get approx. like 10GB left after the updates of Chrome operating system. However, you have the USB 3.0 ports and SD card slot for external storage, and of course the Google cloud storage. 2. Storage and RAM are soldered to motherboard, so you can’t upgrade them. 1. The IPS display with 1920x1080p full HD resolution. It’s stunning! Especially if you watch YouTube on HD. Really love the color accuracy, crispy text, and excellent viewing angles, vertical and horizontally. 2. Great battery life, between 6 until 9 hours, dependant with what I am doing with it. The processor itself is designed for longer battery life laptops. It’s awesome to have a laptop that I can use all day with a single charge. You can even have better battery life with beta channel according to this source. Haven’t tried it though. 3. The 2nd generation of Intel Celeron N2840 dual-core 2.16 GHz Bay Trail Processor is efficient for Chromebooks. It isn’t the fastest processor, but acceptable and excellent on lowering power consumption. Compared with this Acer C720 that uses Haswell Processor, it’s slightly slower. However for the 13″ IPS display, I can accept this trade off for the price. This Chromebook has 20% faster Clock speed, 2x more l2 cache, and one year newer Processor. 4. I am amazed with this fanless Chromebook, it’s small and very light. The aluminum texture which gives a nice feeling grip. I have tried the Samsung and ASUS models, this has better smudging on its edges. 5. 4GB of RAM instead of 2. Most Chromebooks have only 2GB also the 1st generation of this model. 6. Great keyboard. I really love the keyboard. Crispy and well spaced keys. The responsive trackpad is large enough to use, and has a smooth multi touch gestures. Just comfortable to use. If you have been waiting for a new generation 13″ Chromebook to have all great features, a 1080 IPS display, 4GB of RAM, good processor, and excellent battery life, this Toshiba Chromebook 2 is the only Chromebook which hits those right marks at the moment. Thank you for the correction, Hetz, really appreciate it. Can I upgrade the SSD to 128 GB? It’s that soldered to motherboard? Or used unnormal SSD Interface? This is a pic, opened. You could try using a SD card and keeping it in permanently.